Latin for 'fire-anthers', referring to the colour of the stamens. 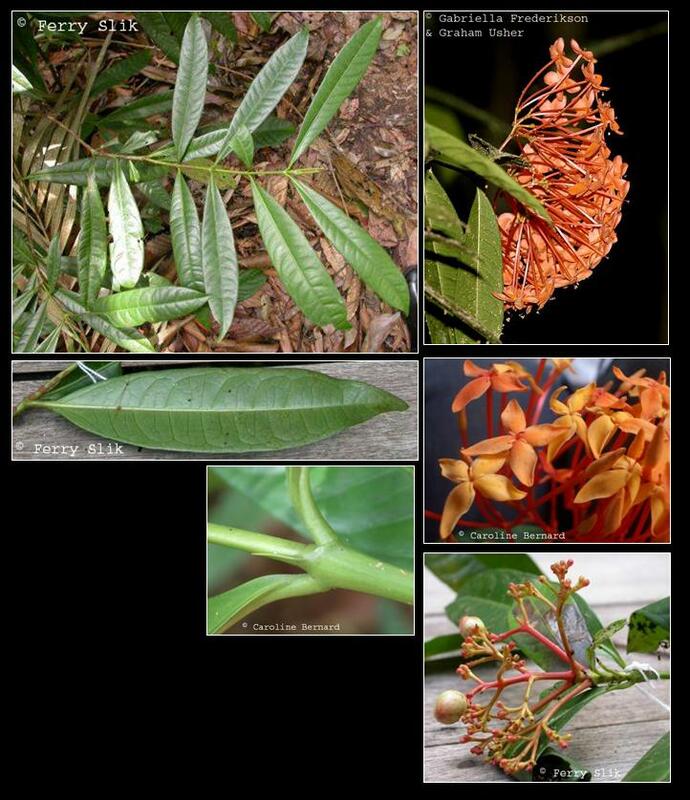 Possibly a synonym of Ixora stenophylla. Shrub up to 8 m tall and 8 cm dbh. Stipules ca. 3 mm long, strongly pointed (needle-like). Leaves opposite, simple, penni-veined, glabrous. Flowers ca. 22 mm diameter, orange-red, with long corolla tube, flowers placed in panicles. Fruits ca. 9 mm diameter, red-purple, berries. In undisturbed mixed dipterocarp, keranga, coastal swamp (mangrove) and sub-montane forests up to 1600 m altitude. Usually on ridges and upper hillsides, occasionally on alluvial sites and along rivers and streams. On sandy to clay soils. In secondary forests usually present as a pre-disturbance remnant.